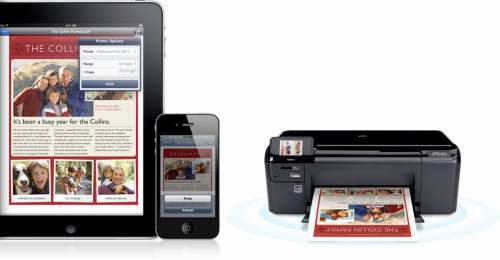 Most of the current printers support Wi-Fi but may not be compatible with Airprint. If your printer is Wi-Fi enabled but not Air Print compatible then your printer will not appear in print menu in most of the iPad applications. There are work arounds which we will discuss later in the article. So it is better to invest in an Airprint compatible printer, if you are investing in a new Printer. 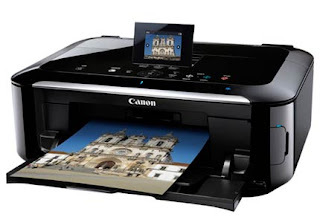 I recommend Canon MG5370 which is an affordable AirPrint compatible Multi-function color inkjet printer from Canon. It can print (9600dpi) scan (CIS, 2400X 4800) and copy at reasonably good speed. It supports double sided duplex printing too without any additional cost. It is a great feature compared to HP printers which needs extra duplexing unit at this price. It can also read memory cards for quick photo transfer from your camera. It supports Windows, MAC and iOS. So you can print from any OS. It comes with a Canon mobile utility to print wirelessly from any devices including Android tablets. It needs 6 cartridges, each may cost your around Rs 750/- and the printer will cost you Rs 11,000/- approximately. If you like to have little more features including 4800X4800 scanning go for MG6270 or if you want professional quality scanner with CCDs go for MG 8270. If you do not have an AirPrint compatible printer there are many tools available in the net which can make your printer AirPrint compatible. Your printer need not be even Wi-Fi enabled to use this workarounds, but it need not be even a network printer, it can be even a USB printer attached to your Windows PC or MAC machine. FingerPrint from Collobos Software which is both Windows and Mac compatible and needs to be installed in one of the PC/MAC in the same network and it has to be ON, then you are ready to go. But this solution needs a PC or MAC along with your iOS device to print. Case 1: Wi-Print but not AirPrint compatible. 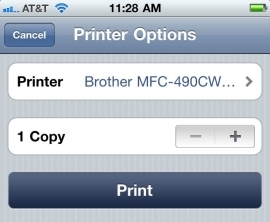 Print Central Pro allows you to print any document using “Open IN” feature of iOS. It can be done directly from an iOS device, no need for PC/ MAC. Case 2: Wired Printer/ USB /Bluetooth printer attached to Windows/ MAC machine: Install WePrint software which is available free from Eurosmartz in your PC/ MAC which is connected to the same network as your iOS device. Open your document in iPad/ iPhone in Print Central Pro or use “Open IN” and print directly to the printer. This needs PC/ MAC to be ON. There are many Wi-Fi printers which have iOS apps which allow you to print from iPad / iPhone after opening the document in these apps. If your document is not supported by these iOS apps then you are out of luck. You need the 1st or 2nd solution mentioned above.